Get to know the ins and outs of your new Mercedes-Benz. 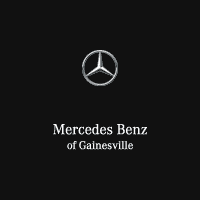 Mercedes-Benz of Gainesville is hosting an exclusive New Owners Orientation that will help you discover all of the technology your Mercedes-Benz has to offer. During this special presentation, new owners will get a first-hand demonstration on how to take full advantage of the features available in their new Mercedes-Benz. Throughout the program, you will receive instructions on how to use the vehicle’s smart phone connection, navigation and much more. This event will be held at 9 a.m., Saturday, June 9, 2018 at Mercedes-Benz of Gainesville, 4000 N. Main St. in Gainesville. Refreshments and pastries will be provided. Please RSVP by Wednesday, June 6, 2018.